Hi friends! 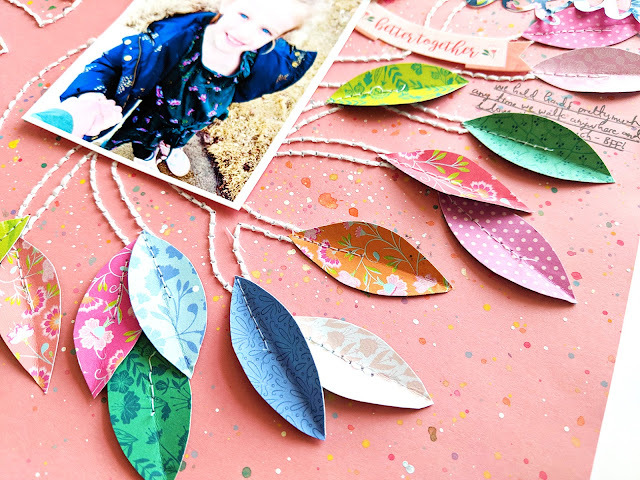 I have a new layout with an accompanying process video to share with you today featuring a tree & leaves made with my Horizon collection and the Project Pad found exclusively at JoAnn stores! 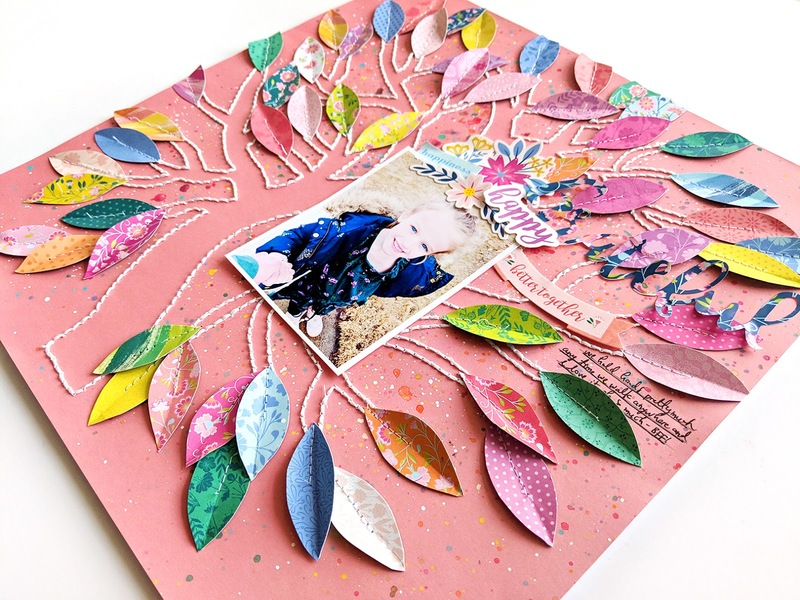 I started by having my Silhouette Cameo 3 cut the holes for stitching a tree on this lovely salmon colored paper found in the Project Pad so it coordinates with Horizon flawlessly. You can find the free cut file here. I used all six strands of white DMC embroidery floss and back stitched the tree which took a few hours. To jazz up the background I cut a tree slightly larger to use as a mask and then splashed watered down white acrylic paint and Prima - Pastel Dreams watercolors all over. I like to use a hair drier to speed up the drying process between layers. 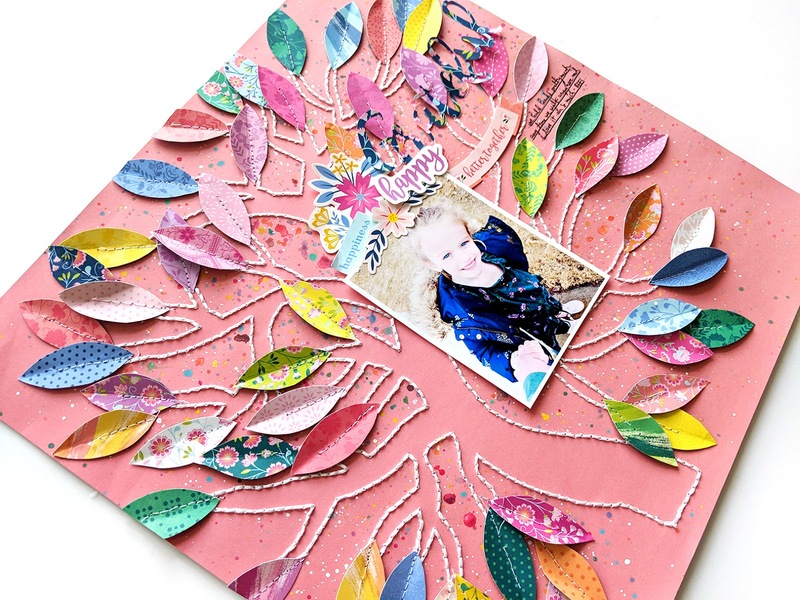 I removed the mask and was left with a fun and colorful background which emphasized the shape of the stitched tree. Next I cut apart the petals from the quilt-like circles of Paper 12. I didn't cut all of them, but a bunch of them, because I wanted allll the colors and allll the patterns. I placed the leaves all around the page to figure out the placement I liked best and then lightly adhered them in place because I knew I was going to machine stitch over them which I did with white thread. If you're not going to machine stitch make sure to use super sticky adhesive to keep those leaves in place forever. I added my photo (always with a white border to help with contrast) over the tree and then only added a few more embellishments at the top of the picture since the layout already has so much going on. I placed a few flower Stickers and a few sentiments. To finish I wrote journaling in a gap on the right edge. I always like to write my journaling with a pencil first to make sure I like the placement because many times I have changed my mind about where to put it. 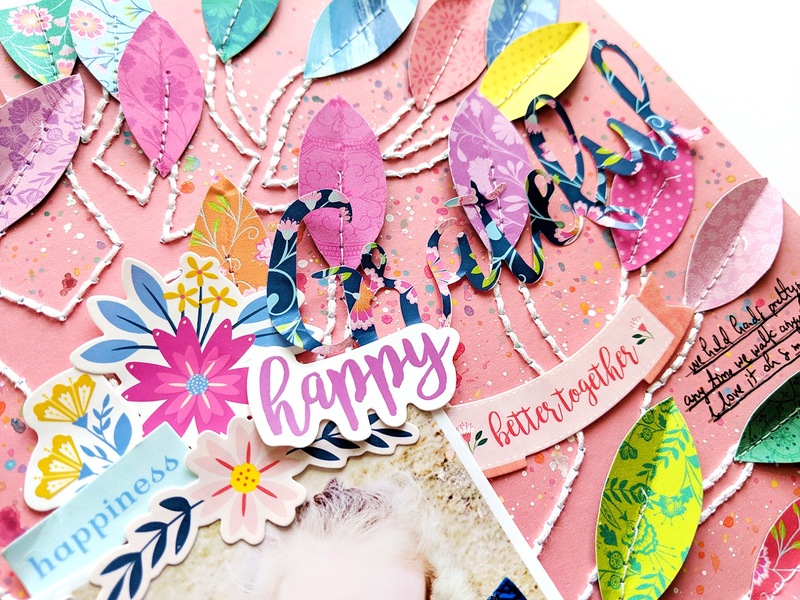 I hope you are inspired by this layout in some way and want to check out my Horizon collection - everything I used here can be found at JoAnn stores, including the exclusive Project Pad! Wow wow wow!!! This is gorgeous! 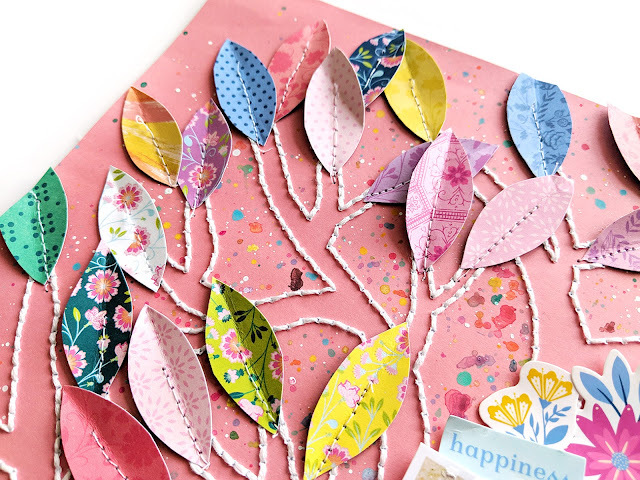 LOVING the stitched tree and those amazing leaves!! And that adorable photo is PERFECTION!!!!! !